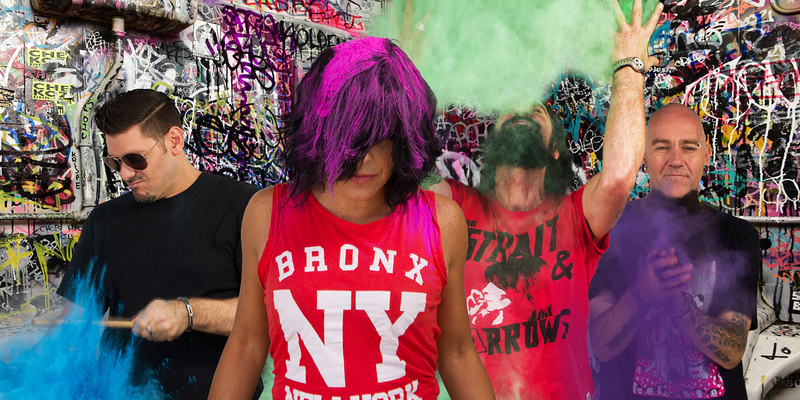 Lillye is a powerful, female-fronted rock band based in Sydney, Australia. The band features Virginia Lillye on lead vocals. Imagine if Led Zeppelin and Heart had a child that grew up with a passion for the likes of Halestorm, Skunk Anansie, and Sevendust. They would give birth to a new voice, that of Virginia Lillye; one that sings like the true greats of rock music history. Virginia Lillye is no ordinary rock vocalist. Since her early childhood, she was schooled in singing, dance, and theatre. She was a clear talent unlike that of her classmates, and as her love for the arts grew, so did her passion for the stage. In her early twenties, that passion would see her travel to Europe where she earned major roles in the hugely popular musicals; Cats, Jesus Christ Superstar, Hair, Grease, and Fame… but her real voice was not to be on this kind of stage. During Virginia’s ten years in the theatre circuit, she spent her spare time tapping into her true calling, that of being a rock vocalist. She perfected her craft while fronting numerous bands at corporate events for Volkswagen, Mercedes Benz and Christian Dior all over the world. The experience was enlightening and paid extremely well, however it was a chance encounter back home in Sydney that would lead to the formation of the award winning Australian hard rock band, Lillye. In 2012, Virginia had been recording at bass player Christian Lauria’s Machine Men Studios where she blew him away with her hard-edged style and infectious personality. It just so happened, that Christian and guitarist Matt Ellis, were looking to start a new band, and fortunately for them, so was she. With the combination of Christians’ deep running bass lines, Matts’ melodically intricate guitar prowess, and the addition of drummer Bennet Livingstons’ rhythmic back bone, the band quickly started writing original material, and in 2014, self-released the Lillye–EP. By 2017, the band played many shows across Australia’s East Coast such as the Brewtality and Wallapalooza festivals, the international campaign Rockin’ For West Papua and supported Gilby Clarke (Guns ‘n’ Roses/ Heart/ MC5/ Slashs’ Snakepit). By the end of the year, the band had won numerous local and international music awards, including a Global Music Award, and having been nominated twice for an Australian Independent Music Award. They’ve performed on Foxtel’s national television program The Music Room, have been featured on The Void AU, and were even brought to The Middle East to perform for the Australian and US Troops. During this busy year for the band, they also recorded their debut full-length album entitled Evolve which they started shopping to labels all over the world. In January of 2018, Lillye signed to the US-based record label Eclipse Records (Mushroomhead, A Breach of Silence, Bobaflex). Evolve grew its’ roots at Christians’ Machine Men Studios with the drum tracks then being laid down at REC Studios in Sydney with engineer Tom Garnett (Wolfmother, Art V’s Science) behind the wheel. The album was then mixed by Shane Edwards (Northlane, Thy Art is Murder) at Karma Sound Studios, and finally mastered by Steve Nagasaki at Nagasaki Sound in the U.S.A. The album captures the band in full flight with powerfully perfected moments that reinforce their effortless ability to dig deep into the hard rock arena that they will surely one day own. 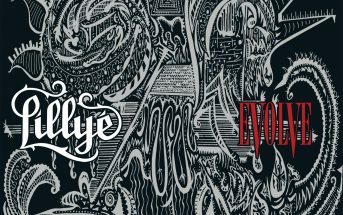 Evolve was released worldwide on May 18, 2018.